The Tennessean reports that Kathy Cloninger, at age 60, is retiring. In December, she and her songwriting, folk-singing husband are moving back to Nashville. They have already packed up their East Coast loft and are ready to return to their West Meade abode — a home they never sold when they left in 2003. 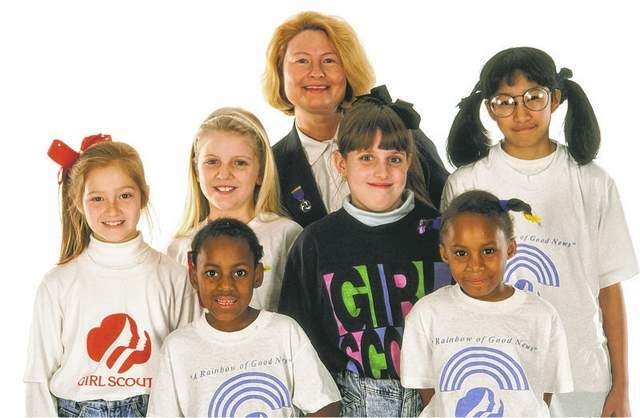 Before Cloninger retires from the organization she has been involved with for nearly three decades, one of her duties is to promote Tough Cookies, which — on the brink of the Girl Scouts’ 100th anniversary — explores the organization’s history and its role in the empowerment of young women. Though much of the public sees the Girls Scouts as a camping, crafting and cookie-selling machine, the primary mission of the Girl Scouts, Cloninger says, is building self-confidence and leadership ability in girls. Growing up in Dallas in the 1950s, Cloninger joined the Girl Scouts in second grade. Her mother — a government secretary — was a troop leader, and seeing her in a leadership role was an influential experience. “It helped me and Mom bond in ways that we wouldn’t if she hadn’t been my leader,” Cloninger said. But it was the cookie sales that presented some of Cloninger’s most memorable experiences. Her first Girl Scout excursion was a bus trip to South Padre Island. She was raised in a working-class family that couldn’t afford fancy vacations, so paying for the trip through the sale of small bites of baked goodness was empowering.